THE TAKE HOME: This blog contains a lot of the science that went unsaid in the 2017 February webinar and is designed to fill in some blanks for members on this topic. He who controls the sun properly can bring blood flow to the choroid surface (RPE) to energize red blood cells and the hemoglobin present in them. This is how phototropism works in the eye. The choroid/RPE has many correlates to the phototropism in plant chloroplasts in leaves. The choroid of the eye is primarily a vascular structure supplying the outer retina. The outer portion of the retina is where the photoreceptor melanopsin is loosely covalently bound to retinol. Melanopsin/retinol controls the neural signaling along the central retinohypothalamic tract. This tract connects the retina to the suprachiasmatic nucleus (SCN) which controls the circadian mechanism. This tract continues on and connects the retina and SCN to the leptin receptor in the hypothalamus. The leptin system, in turn, controls all growth and metabolism of the organism and this system controls the circadian release of hormones from the pituitary gland using specific light frequency changes present in AM sunlight. 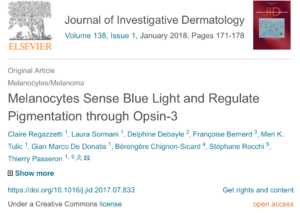 In December 2017 we have proof melanopsin/retinol are now in human skin, subcutaneous fat, and the skins arterioles. I will remind you that the subcutaneous fat mass links to the leptin receptor in the hypothalamus too using leptin and adiponectin as fat hormones. He who controls the frequency of sunlight via the eye and skin, calls the shots for the anterior pituitary hormones and its effect on human behavior and illness. Sunlight also controls the phototropism in leaves in plants as well. The universe doesn’t speak with words. It speaks in frequencies and those frequencies disturb the hydrogen bonds in water made by our matrix found around our proteins decipher this Rosetta code to innovate life. What makes outer space toxic to human astronauts and cosmonauts? Why does space induce genetic changes by altering the epigenetic program in the eye, RPE and the central retinohypothalamic pathways? Vitamin A in the retina and skin is very vulnerable to irreversible degradation in response to high-intensity light. The light in space from the sun is more powerful light than the light of the sun that hits Earth. Why? Outside the magnetosphere, the entire electromagnetic spectrum of light persists in the universe. This is why circadian disease and unusual eye diseases like pseudotumor cerbri and visual loss occur in astronauts quickly. They live in light evolution has not adapted too. Leaves and red blood cells both have a protein in them that is a porphyrin. Both proteins share a very common atomic structure. Porphyrins are light absorbers. C4 grasses are tropically adapted best to strong solar light (where UV light is present) whereas C3 are better in cooler climates where UV light is sparse. Is a similar thing happening with blood type in humans? Humans have type O, A, B, and AB blood as laid out in the webinar. C3 plants use C3 photosynthesis which uses CO2 in a 3-carbon compound and C4 plants use C4 photosynthesis which incorporates the CO2 in a 4-carbon compound. C3 plants like cooler weather and C4 plants like a stronger light. 85% of plants are C3 types. These compounds represent different types of sugar that is made photoelectrically from the joining of CO2 and water with sunlight. Photosynthesis is the process of combining light and nutrients of the soil to create energy plants can use. C3 and C4 photosynthesis go about this process differently. Most plants are C3 types. The advantage with C3 photosynthesis is that it is more efficient than the C4 variety under normal light conditions since it requires fewer enzymes. C3 plants use C2. Carbon Dioxide is used to create the 3-carbon compound G3P in order to produce usable energy. This is a glycolipid humans also use in their liver. The higher CO2 concentration in C4 plants means that the stomata (water region), the gas exchange part of the plant, do not need to open up to get any more, so less water is lost. C4 uses CO2 to create the 4-carbon compound oxaloacetate instead. C4 plants tend to do better in high oxygen environments. C4 plants also go through photosynthesis faster than C3 plants when there is a lot of light and heat nearby. Additionally, C4 plants have much better water efficiency (stomatal conductance) than the C3 variety since they don’t have to keep their stomata open as much. There are several thousand different types of C4 species with 19 different plant families. Examples include corn, saltbush and many plants that thrive during the summer months. ADP is an organic compound that is essential for the transfer of energy during photosynthesis. ADP is composed of a five carbon atom compound known as ribose, one adenosine molecule, and two phosphate groups. It is formed by removing one phosphate from adenosine triphosphate, ATP. ATP is discussed below. The energy needed for photosynthesis is obtained from sunlight. Plants store this energy in the form of ATP and then use it to carry out photosynthesis. Photosynthesis takes place in two distinct stages, the light stage and dark stage. The light stage is the light-dependent stage of photosynthesis, which occurs in the thylakoid membranes of the chloroplast. During this stage, white light is absorbed by the pigments in the chloroplast to form high-energy compounds, such as ATP and Nicotinamide Adenine Dinucleotide Phosphate, NADPH. In order to produce the energy required to drive chemical reactions in photosynthesis, ATP loses one phosphate to become ADP, and the NADPH loses one electron to become NADP+. Phosphorus also is key in the “animal version of photosynthesis” and make H+ from the water made in mitochondria. Hydrogen without its sole electron is a metal plasma and excellent electrical conductor. This form of hydrogen is buried in our sun and in our mitochondria. This makes it the focus of quantum electrodynamic theory. This means our mitochondria is filled with ionized plasma. Inside of every mitochondrion resides a small electric universe that powers a cell and makes life work. This is very similar to what the sun does when it “burns” hydrogen. Burning plasma may actually be the wrong term for this process. When we remove an electron we shrink hydrogen to a metal plasma. Hydrogen is transformed into a tighter, more compressed package because this gives hydrogen plasma a more favorable thermodynamic profile because less space equals more dielectric capacitance, from an electrical standpoint. This makes the metal plasma of hydrogen, itself, a chameleon for electrical action. It is an electrical phenomenon of QED theory. Hydrogen can be non-metal when it has its electron; It is also an acid, and a proton, and can act as a superconductor. It interacts with water to do some unnatural things because of its ability to proton tunnel. When we add infrared light it becomes quite special. With 1538.5 nm photon frequency added to cell water, proton transfers in water are increased dramatically. This is called proton tunneling. Did you know every biologic enzyme known to man uses proton tunneling to work? Have your food guru’s told you that? Mitochondrial input is made in electrons. All food break down into electrons that get fed into electron chain transport in mitochondria. Semiconductor engineers have only figured out how to move electrons on silicon atoms well so far, but Mother Nature moves them on DHA and water. She also uses the exclusion zone in cell water to set up chemiosmosis on the MINOS in mitochondria and it move protons to tunnel on all nucleic acids. All DNA and RNA only work when they are hydrated because they require hydrogen protons to tunnel!!! This makes hydrogen life’s magic weapon in enzyme actions. Enzymes are 100% quantum experiments in energy transmutation. At the banquet table of nature, there are no reserved seats for any living thing. You get what you can take, and you keep what you can hold. If you can’t take anything, you won’t get anything, and if you can’t hold anything, you won’t keep anything. Proton tunneling is how life harness energy to make life possible. HYPERLINK. Light energy is captured by structures called photosystems in plants. Through the splitting of water molecules, the chemical energy released is used to synthesize two basic molecules of plant metabolism: ATP and NADP+. The formation of ATP is called photophosphorylation, of which there are two varieties: cyclic and noncyclic. This light phase is necessary for the following phase, the dark phase, which doesn’t necessarily need the presence of sunlight. This occurs in the chloroplasts and depends directly on the products obtained in the light phase. In the dark phase, the ribulose bisphosphate added to the carbon dioxide gas (CO2) in the air results in the production of organic compounds, principally carbohydrates or sugars, whose molecules contain carbon, hydrogen, and oxygen. This cycle of transformation is called the Calvin Cycle. This cycle allows the entire food web to become deuterium depleted on a realtive level depending upon location on Earth and the type of photosynthesis it uses. During the dark stage of photosynthesis, the energy-depleted compounds, ADP and NADP+ are converted back to high-energy forms filled phosphorus, with ATP and NADPH respectively. These high chemical compounds are then stored to drive other chemical reactions necessary for the synthesis of sugar and other carbon-containing compounds. ATP is also used in the oxidation of photosynthetically-produced carbohydrates in the mitochondria during cellular respiration to reverse the process we see in photosynthesis. This can be made with food electrons or with red light alone because of all the cytochromes 3,4, 5 are all heme proteins and red light chromophores. 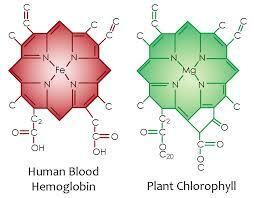 Plants have different chlorophyll’s just like we have different blood types and different hemoglobin’s. There are several different types of chlorophyll including chlorophyll a, chlorophyll b, chlorophyll c, chlorophyll d, chlorophyll e and bacterio-chlorophyll. The various types of chlorophyll are found in different organisms and are all involved in photosynthesis. Chlorophyll is an important pigment in the process of photosynthesis and is found in all photosynthetic organisms including plants, blue-green algae, and eukaryotic algae. It is a photoreceptor that is found in the chloroplasts of green plants. Chlorophyll a and chlorophyll b (shown above) are the two major types of chlorophyll and differ only in the composition of one of their structural side chains. Chlorophyll a is the most prevalent type of chlorophyll of plants on EARTH. It is found in plants, algae, and other aquatic organisms. This type of chlorophyll absorbs red, blue and violet wavelengths strongly. It gets its color by reflecting green, thus giving plants their green color. Chlorophyll b is found primarily in plants as well, but this type absorbs blue light only and is yellow in pigment. Chlorophyll c and chlorophyll d are less common and are found in different algae. Chlorophyll e is a very rare type of chlorophyll that is found in some golden algae, and, as the name suggests, bacterio-chlorophyll is found in certain bacteria. 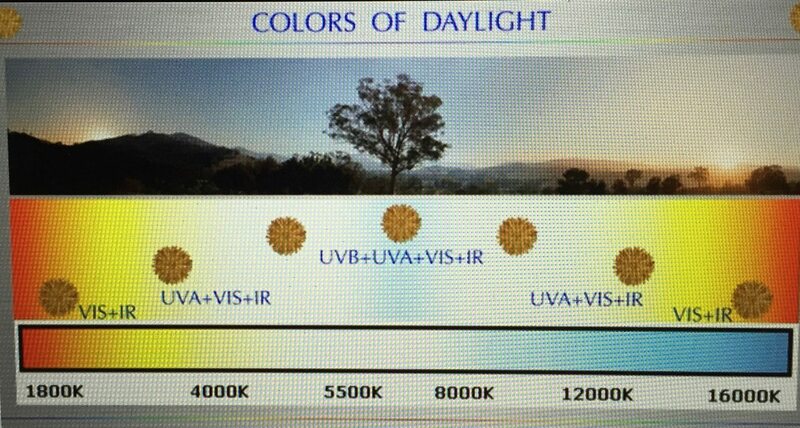 Chlorophyll A absorbs UV light a lot more than chlorophyll B does as shown above. UV light has the shortest wavelength in the visible spectrum and because of this, it has the power to make the most electric current and deliver the highest electrical charge to porphyrin proteins. Arthur Ramthun explained in this video that plant photo electro-tropism is a plant response to natural internal and external electrical forces. Phototropism in the choroid of the eye is also a photo-electric process that mimics the very same act of moving blood toward the light in our retina. This process uses nitric oxide (NO) release from the RPE to accomplish this task. The skin has a similar phototropism with the circulatory system because of the nitric oxide release brings RBC’s to the surface to be irradiated by sunlight. Voltage recordings done on a variety of trees and plants show very large numbers of electrons continuously flowing towards branch tips, with or without leaves. Using voltage recordings, ohm measurements, the strength of Earth’s electric field from references, and assumptions, electrical forces were then calculated using basic electric force equations. Two-dimensional electrical forces with assumed angles were reduced using vector analysis to a resultant force at the branch tip. From the vector analysis, the resultant electric force vector and the branch tip was found to be strong enough to define its direction. As the branch tip grows, lignin forms and structurally holds the growing tip direction. The branch tip growth eventually forms an “electric line of force” in all parts of the woody plant strong enough to resist gravity and other mechanical influences. Plant parts with insufficient lignin to resist gravity, droop downward. In short, woody tree parts are a physical record of electrical flow, just like a Lichtenstein Figure is a physical record of electrical flow. The first step in photosynthesis and in mitochondrial oxidation/phosphorylation of electrons is to charge separate water. Why is charge separation of water critical? When this occurs we are creating an unending source H+, which is a metal plasma. Both steps create H+. H+ is a hydrogen atom tripped of its lone electrons so that it can be considered a liquid metal plasma. One wonders where a person or animal or plant begins and ends when you realize this close this linkage is. The reality is that life is really a continuum of physics built upon the sliding scale of action to create amazing diversity we see in living things. Chlorophyll and hemoglobin are topologic insulators that collect light and make it obey relativity once the light collides with this protein. Physics is experience, arranged in economical order for proteins. Biology is present wisdom, re-arranged constantly by locally by geometry with geologic time order. The Earth’s environment used to provide enough to satisfy every person’s needs. This is no longer true because of man’s interference by using other frequencies of light. Your environment is never static so neither should your mito-hacks or your beliefs be. We are built to be non-linear beings being able to harvest Earth’s linear seasonal environments with their ever-changing solar light frequencies. Now, Earth’s environment is non-linear on a second to second basis because of light switches and the electric power grid. Man’s mitochondria are currently engrossed in a constant state of adaptation trying to stave off acute decay to survive. So far our species is losing this battle of attrition. Light does not have to obey relativity. Its speed is constant everywhere it can run free. It cannot run free in living systems. Topologic insulators are trappers and transformers of light from the sun in cells. When it gets trapped in these topologic insulators, for the first time, the speed of light becomes relative to tissue density and this alters the optics within proteins. Therefore, trapped sunlight in proteins makes our surfaces relative, and that relativity changes the space/time of our cells and tissues. This happens at our surfaces in the eye, skin, gut, and lung as mentioned in the webinar. Sunlight shifts blood into the skin by changing polarization in tissues that allow for dermal pooling due to molecular resonance changes in eNOS and NO. More than 50% of your blood volume can change your skin surface when specific solar spectral density is present. This can lower your blood pressure and it raises you sulfated vitamin D3. It changes the anatomical structure of the skin by changing the optics of surfaces. It becomes a sensory stimulus for the interoceptive system to induce biochemical substrates via photosynthesis in plants and changes in the ATPase using red light and water in animals. Sunlight increases sulfated Vitamin D3, histamine, and sulfhydryl groups while lowering (photolysis) adrenaline, steroids, testosterone, estrogen, thyroid hormone, DNA, and RNA. Sunlight is capable of inducing biochemical reactions via photolysis and it induces coordinated endocrine adaptation effects in the eye and the skin surfaces. It affects the sympathetic and parasympathetic systems in the brain by way of the central retinal pathways. The varying AM solar light is the key stimulus for the circadian timing mechanism of the body clock via the central retinal pathways. All these effects are built into the electronics of your proteins under solar power and magnetic flux. The observation that the conversion of white P4 to the red allotrope is accelerated by ultraviolet light showed that the P4 molecule is able to be activated by electromagnetic radiation. Metal complexes can also mediate the functionalization of P4 and is well supported in the literature. The participation of electromagnetic radiation in the reactions that involve P4 and metal complexes has provided new procedures in the industry for obtaining new and interesting compounds that contain phosphorus atoms. Nature took advantage of this long before humans did. Very significant and interesting reviews have summarized, classified and discussed the reactivity of P4 but until now none of them have distilled the relationship between white phosphorus and electromagnetic radiation. 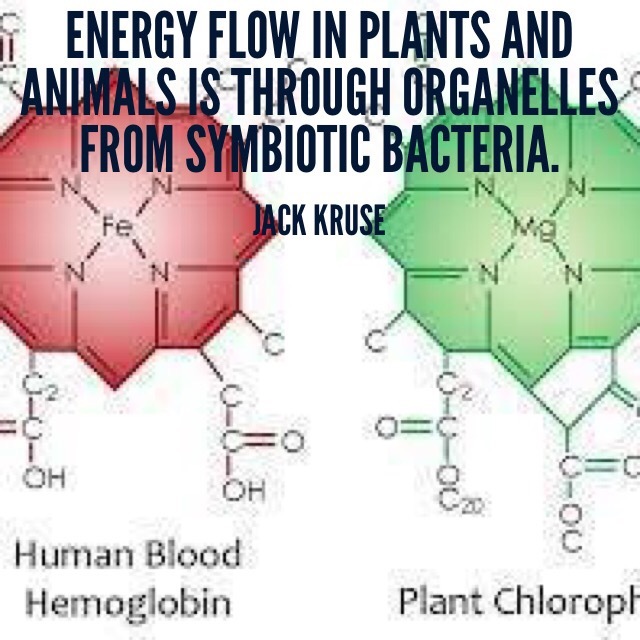 Life has done this using chlorophyll and hemoglobin to collect UV light and use metal complexes in them to make phosphorus to create an animal brand of photosynthesis. Exciton theory forms the basis of photosynthesis in plants using chlorophyll. It is mainly considered for small molecular aggregates like dimers and ring-like structures etc. and how sunlight makes them using porphyrins. Exciton theory deals with linear and non-linear polarization properties of the absorption and fluorescence spectra. In humans, we now have people using NIR spectroscopy to study how water, chlorophyll, and hemoglobin work with sunlight and how animals went further than plants and linked the process to phosphorous-laden proteins to use an “animal version” of photosynthesis in the blood where hemoglobin exists. This is why I mito-hack the periodic table of elements in many ways to gain insights into how life works. We now know life is quantized, so this stimulated my curiosity and interest in finding out what biology uses for its materials to collect sunlight and make light in cells. Proteins act to performs these tasks and act just as semiconductor materials do in technology gadgets. It turns out phosphorus is one of our base key semiconductors used in the circadian clock mechanism in the brain and all cells. I began examining a large group of elements that can act as semiconductors, which is a prerequisite for acting as a photocatalyst with sunlight via the photoelectric effect. I found something interesting and not well known. Since phosphorus is a key atom in life’s post-translation modifications of proteins (ATP/ADP), I knew it had to have specific advantages using the electromagnetic spectrum from the sun. That key finding was that red phosphorous can act as a semiconductor by itself. This is a property most researchers still have not recognized even today. The conventional wisdom in physical chemistry was that red phosphorus was really only useful as an insulator. A Japanese scientist, Akira Fujishima, performed the earliest work on splitting hydrogen (H+) out of the water. He discovered that titanium dioxide could produce the gas, a finding first reported in Nature in 1972. A photocatalyst operates much as chlorophyll does in a plant, absorbing energy from light and causing a chemical reaction in water to charge separate it and liberate energy in the form of hydrogen and free electrons. In my opinion, the process of photocatalysis is simply a form of “artificial animal photosynthesis.” Calling it artificial is a misnomer, only because photosynthesis has been ascribed to plant porphyrins at the present moment. Science is now realizing that animals may have this ability buried in the connection of hemoglobin and their mitochondria. The phosphate proteins are the key linkage. When someone looks at hemoglobin and chlorophyll side by side, and realize how much phosphate is present in RBC’s one can see that mammals have always used this process as plants have. We just have missed the process because we are ignorant about quantum mechanisms in cells. Cells have harnessed the power of phosphorus in all our proteins to make our peripheral clock genes operate properly. When they don’t harness this power you get diseases in that organ because the mitochondria become faulty and heteroplasmy rises. This is why phosphorylation of proteins is found everywhere one looks in high energy metabolic pathways in a cell. In fact, it is the reason it is used in clock mechanisms to fine-tune coupling and timing inside a cell. Most of the known clock proteins are phosphoproteins and phosphorylation events play a key role in generating circadian rhythms. AMP-activated protein kinase (AMPK) constitutes an interesting example of the interconnection between phosphorylation events of clock components and metabolism status. ATPase in a mitochondrion makes ATP a key phosphorus containing protein. ATP synthesis is not directly coupled to the cytochromes of the inner mitochondrial membrane. For sequential e – transfers be mindful that the ATPase is not directly coupled to the respiratory proteins. H+ translocation at the cytochromes generates the chemiosmotic gradient necessary for ADP phosphorylation. This H+ version of hydrogen has some pretty special abilities when its scale and density is altered by electric and magnetic fields that surround it. The key reaction stoichiometry of the ATPase for a • 360-degree revolution = 3 ATP = 10 H+ = hydrogen stripped of its electron. Why do the sun and mitochondrial matrix have something deeply in common? Is this why photosynthesis and mitochondria are entangled? I think so. Metallic hydrogen (H+) = the energy plasmoid of life. H+ = a room temperature superconductor that life uses to make life possible. The more connected you are to the sun and Earth’s magnetic flux the less one needs electrons from food. It is a simple quantum rule. The more continuous the connection the more electric charge cells can hold which can be used as an electromagnet vice grip to compress and squeeze hydrogen to changes its physics. It takes a tremendous amount of energy from the environment to make H+. The sun’s photoelectric power and the Earth’s magnetic flux can provide that electric power. Moreover, if you convert it back to molecular hydrogen (H2), all that energy is released naturally to the system built around it. Nature seems to have gotten that message about 650 million years ago with chloroplasts and 600 million years ago with mitochondria. 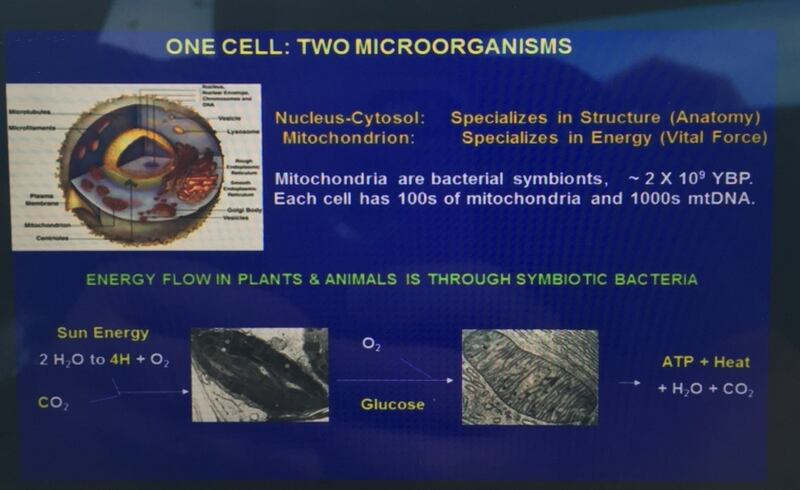 People forget that chloroplasts and mitochondria are both former bacteria that became eukaryotic symbionts. So if that environment was built with proper specifications, it could harness all that energy to compress H+ in small spaces. The mitochondrial matrix and the cristae create these small spaces and water surrounds these. Water also acts differently when it scale is changed too. Is it a coincidence that a cell surrounds a chloroplast in plants and the many of colonies of mitochondria in animal tissues? Both symbiont H+ factories are submerged in water. Is that arrangement important in some way we don’t yet understand in biology? Because of this arrangement, both seem quite capable of harnessing all that energy that condensed matter physics says a plasma made of metallic hydrogen would release into the surroundings. Cancer is always tied to disrupted circadian biology because of the quantized link of the peripheral clock mechanism to the atomic abilities of phosphorus. Phosphorus is a key atom in all human post-translational modifications including ubiquitination cycles. Adequate circadian regulation of physiology and metabolism are key for metabolic health and when light uncouples these systems cancer is right around the corner. A review and analysis of proteomic analyses in mammals over the day/night cycle reveal mainly reveals only nuclear genome-based studies at parent protein level. I’ve been pounding the table at looking at mitochondrial mechanisms because of its bacterial origin. A common dopant for n-type silicon in technology is a phosphorus atom. Life, using cells does the same thing, but it pairs carbon with nitrogen and phosphorus in its semiconductive circuits. Selenium can make electricity in proteins but it works with cofactors of Ca2+ and Mg2+. Physics geeks will recall in an N-type semiconductor, the Fermi level is greater than that of the intrinsic semiconductor and lies closer to the conduction band than the valence band to do the things it can. Loss of selenoproteins is seen in many cancers. Peripheral circadian clock systems based on post-translational modifications (PTMs), such as phosphorylation. They exist and are well characterized in bacteria. Mitochondria and chloroplasts are bacterial symbionts. This mechanism has not been seen in mammals and it should be obvious why to researchers but it has eluded their unripe minds. Mammals stole their mitochondria from bacteria so the mechanism remains buried in the circadian regulation of mitochondria in higher eukaryotes!!! This is why Dr. Doug Wallace has said that photosynthesis in plants and glucose metabolism in the liver are linked to the sun and it is why the liver was created by evolution. This organ is the ultimate peripheral clock regulator that responds to solar light frequencies from other surfaces than the retina. Multiple lines of evidence suggest that the mammalian clock in peripheral organs such as the liver plays a substantial role in optimizing the timing of the metabolic process. 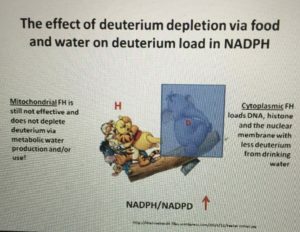 This is why the long loop destruction of DHA recycling is devasting to cell membranes functioning in humans with leptin resistance at the level of the liver. Indeed, tons of research now shows the expression of hepatic enzymes involved in metabolism robustly fluctuates during the day during times as solar light frequencies change. This is why gut melatonin, insulin, and glucagon are all physiologic solar hormones. I have a deep sense all hormones functionally are linked to solar frequencies which control their actions based on PTM. Consequently, inactivating the liver circadian clock decreases the number of cycling transcripts in circadian timing in all the cell types in the gut. Diabetes is a perfect example of this breakdown in beta cells that secrete insulin and other cells that secrete glucagon. 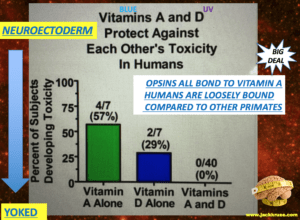 This is why light at night destroys this mechanism and leads to many epithelial cancers by destroying both Vitamin A (retinol) and Vitamin D3. Vitamin A dropping tells the wise something is amiss with melanopsin on a surface. When clock genes (like PER2 and BMAL1) get uncoupled from solar light frequencies, c-Myc (a regulator gene) is over-expressed, making cancer formation much more likely. So this why do I mito-hacks the periodic table of elements to gain insights into how cells really work. How do cancer cells link to the gene function? Telomerase is the answer and I talked about this in the webinar, but I think it is reacting to melanopsin signaling that is broken. The RPE in the eye has more telomerase activity than any other cell in humans. It turns out the skin does too! This has huge implications when your eyes/skin only see a world that is blue lit and microwaved. This highlights why the retina/RPE/skin are critical in disease generation in today’s world. Human genes are programmed to know how to react upon bright light with the spectral composition of sunlight. The brightest light under the sun is UV light and we have direct data that unwound DNA releases massive amounts of this light and it also absorbs massive amounts of this light. The skin and retina have evolved specific chromophores and fluorophore proteins to deal with the specific solar frequencies as they vary diurnally and seasonally to function optimally. These two tissues (retina and skin) are also linked in the layers of the embryo by their emergence from the neuroectoderm. Understanding the heliotropic logic behind the coordination processes between skin, a visual and energetic portion of the retina (eye clock/melanopsin) and photo endocrine regulation in the brain is essential for creating a reliable concept of health. The fluorescence of RBC’s filled with iron porphyrins can deactivate telomerase in the eye to ruin all signaling in the central retinal pathways and lead to circadian disease by ruining mitochondrial function of the RPE in the retina. Solar lighting is required to maintain the wellness of RBC’s and many other cells in humans. Artificial light dehydrates mitochondria and lowers CO2 production from mitochondria. It also causes changes in deformation of RBC’s and this leads to their destruction and their change in deformation leading to pseudohypoxia and disease. Mitochondria reverse the process we see in plant photosynthesis as the picture below shows. Light assimilation is affected by surface temperature changes that occur in our eye, skin, gut, and lung, just as the quantum yield of photosynthesis in plants is affected by leaf temperatures. I covered these links in the webinar. We all begin in the womb in a woman who bleeds every month she is not pregnant. The blood she loses gives a fluorescent fingerprint as mentioned in the webinar. We all inherit our mitochondrial DNA from our maternal lines. So why do these experiments show that DNA begins as a quantum wave and not a quantum particle with respect to the photoelectric effect? Recall that every cell in the human body releases ELF-UV for a deep signaling reason. Women need the UV part of the light’s equation more than men do for most of their lives; do you have an inkling ….why? Their atomic lattice needs the particle part of the photoelectric effect to excite electrons. Men’s bodies are more attuned to the wave part of light in most cases. I’ve said, “the wave aspects of light seem to be more important at nighttime and in females in my bio-hacking experience.” What makes young women special? They have the ability to carry the next generation………they are designed to harvest more energy from the environment for a possible pregnancy every month. Therefore they have both systems quite active in their system until menopause sets in……..why? You can overpower your atomic lattice much more easily if you are a woman. This is why they have a period monthly to act as a fuse box photoelectrically by losing Iron porphyrins in RBC’s. This points out why a period is important in young women. What happens when you have a circuit that gets overloaded in a house? The circuit can blow. When a circuit blows we have to protect other systems; so women are much more sensitive to this issue hence why many of them get autoimmune diseases whereas they are relatively rarer in men. This is why women are different and special with respect to the non-linear aspects of light and how it works with DNA…….their atomic lattice is attuned to things because they bring life forward and males have no such thermodynamic constraints. ELF UV is used to stimulate mitosis of cells in humans, therefore, women have to have ways to collect UV light well when they run low on these specific frequencies in their germ cell lines and in their mitochondria DNA. Mitosis is massively up-regulated in pregnancy for growth so this is why this constraint is mandatory. Having this ability throughout their lives would lead to their “bulbs” (tissues) burning out too fast. So what did nature do? Menopause slows the ability of tissues to power the mitochondrial circuit. The monthly period also protects women from powering up too much to harm their protein lattices and mitochondrial circuits if pregnancy does not occur. The key point is understanding that your semiconductive protein lattice’s. The medium of cells where sunlight interacts is very important part of this story. It determines how one can use light and how one cannot use it. So does nature want women to burn fast and bright and then either die out quickly like a blue star does compare to a red dwarf star? This implies that menopausal women may not need as much UV light as younger women and it may be why they keep their hemoglobin and stop their menses once their ovaries go dormant. Might they need more IR-A light at this time of life? I think so. What makes this interesting in reference to this link? Magnetic fields can changes waves to make them more particle-like. UV light is able to magnetize things. In fact, this is how the bases in DNA become magnetized. UV light is more particle-like and IR light is more wave-like because of the varying kinetic energy that each frequency contains. 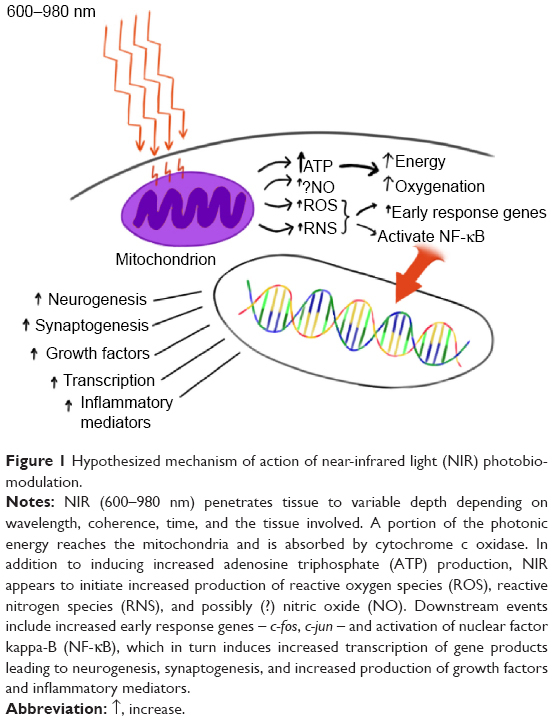 Sunlight is 42% IR-A light because most of our mitochondrial proteins and water are red light chromophores. The UV portion of light has a very high kinetic energy is more highly dependent on hydration status of the cells and this ability is linked to maintenance of low heteroplasmy rates and good mitochondrial function to make water and CO2 to reverse the photosynthetic process built into the food electrons and protons we eat. Food is a bar code of electromagnetic information of sunlight as the sun varies seasons in its trip around the Earth. I have been following your research and blogs for about 5yrs, now. I am 65yrs old, trained as a physical chemist in the 1970’s. In one crystallography lab practice a small group of students, which I was one of the group….we all looked into the atomic structure of carbon using a transmission electron microscope. The carbon atoms illuminated by the magnetic focussing of electrons flowing across each atom. This was the only TEM available for university physcial chemistry students in Australia, at that time. With this memory of the quantum world fixed into my 60yr old in my mind…. I believe, I can have the knowledge and experience to say, “Your research work and intellectual reasoning with the sciences involved with this post is stunning…. This post should be the preface in the first chapter in every medical student’s first year biology course. After following your work, I now know why I have experienced metabollic illnesses of Fibromyalgia and Chronic Fatigue Syndrome over the past 20yrs…. My doctors have all tried to link the FMS and CFS symptoms to genetic inheritance or viral influences…not one of them able to help anyone. It’s not their fault, it’s their training which prevents them to know anything about biophysics, biochemistry, photochemistry and quantum biology ….More importantly, anything about connecting our world environment, bio-hacking, metabollic illnes and energy transfers or cellular chemistry, entropy and epigenetics. Mitochondria who follow your work, know you are a wonderful man who must have a wonderful wife and family, too. Your are a modern day prophet for quantum physical medicine. An outlier, showing the light and way ahead for every man and woman in medicine. Perhaps, your like a biblical Jesus an outlier in your field of work…..THANKYOU FOR HEALING ME!